Tyler “Ninja” Blevins, the Twitch streamer and Fortnite star whose profile only continues to get bigger, announced today that he and his sponsorship partner Red Bull will air a New Years Eve live stream from New York’s Times Square. The event, which will run from 7PM ET to 7AM ET the following day and stream on Ninja’s personal Twitch channel, will feature him playing Fortnite with a series of notable guests as he rings in the new year for various time zones around the world. The news was announced today at TwitchCon, the streaming platform’s annual community convention for streamers and gaming personalities. Ninja’s career over the last 12 months has been nothing short of meteoric. Since breaking streaming records with Drake back in March and becoming the live streaming face of Epic Games’ hit battle royale game, now arguably the most popular game on the planet, Ninja has gone on to ink a deal with Red Bull, partner with Samsung for its Galaxy Note 9 launch and the Android Fortnite exclusive, and grace the cover of ESPN Magazine, the first e-sport athlete to do so. All the while, his social media and Twitch following has continued to rise. 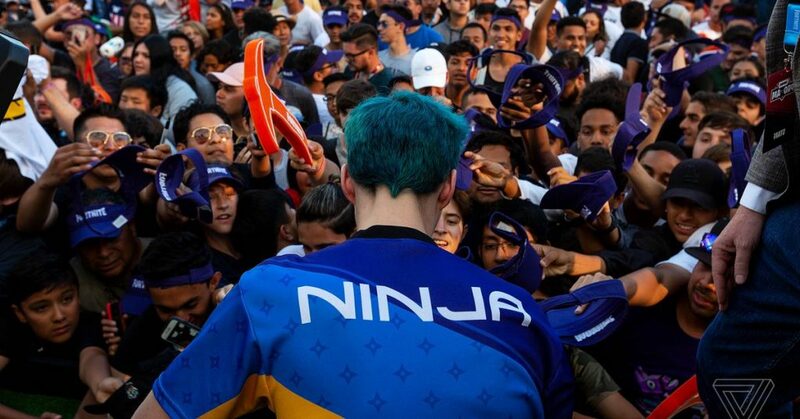 Ninja now commands an audience of 11 million followers on Twitch, 11 million followers on Instagram, more than 3.5 million Twitter followers, and nearly 20 million YouTube subscribers. A sizable subset of his Twitch following are also subscribers, which mean they pay him a minimum of $5 a month. Although some of that subscriber fee goes directly to Twitch, Ninja also receives donations and makes additional money through apparel, sponsorships, advertising, and appearances, including a recent Samsung commercial.